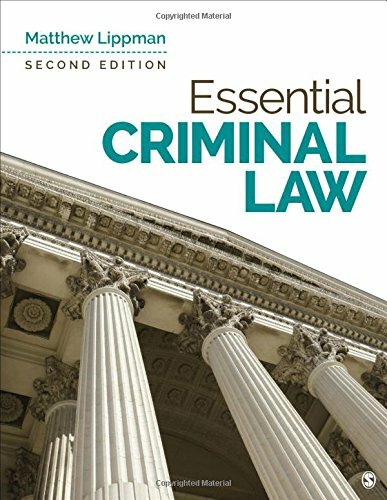 Essential Criminal Law, Second Editionequips students with a foundational and practical understanding of criminal law in the United States, as well asencourages stronglegal reasoning skillsforstudents with no prior exposure to case law. Award-winning professor and bestselling author Matthew Lippman guides students through the complexities of the legal system using thought-provoking examples of real-life crimes and legal defenses, along with highly approachable case analyses. Updated with the most current developments in criminal law and public policy, the Second Edition takes students beyond the classroom and prepares them to apply criminal law in today’s legal world.